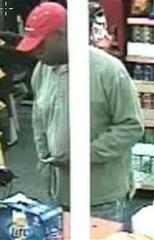 Armed robbery at the CVS on Beach Blvd in La Mirada on Feb 20th. Visit nixle.com for details and to report tips. 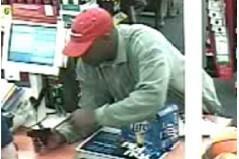 The Los Angeles County Sheriff's Department / Norwalk Station is seeking the public's help in identifying an armed robber suspect from the CVS located at 13525 Beach Blvd, La Mirada. The robbery occurred on Monday, February 20, 2012.
caliber black handgun from his back pocket and pointed it at the victim. He demanded that she open the register and then he removed the cash and fled on foot. No vehicle was seen.